Early in label design before opening shop, I considered what I would include with each soap. One idea I had was to have a little story go with each one that would be included in the packaging somehow. It could be just a secret between the receiver and me, or possibly the 1st half of the story would be on the online product listing, and the conclusion included with the product. I do enjoy writing so this idea sounded delightful. So I immediately sat down to write one for Mary Bennet. Well…I soon realized it wasn’t practical for me to do a story because it took up too much space on my packaging. But I condensed what I had written for Mary and included it anyway, folded up inside. When I saw Mary B by Katherine J Chen on instagram, I was SO excited that someone had written a story for her! Once I got my hands on it I sped through it. It was also time to restock Mary Bennet’s soap in my shop, so I had a very *Mary* week! I laughed so much reading this book and enjoyed it immensely*. My Sherlockian husband read it too and loved it. 4 stars from us both. Pin this book to your to-read board! 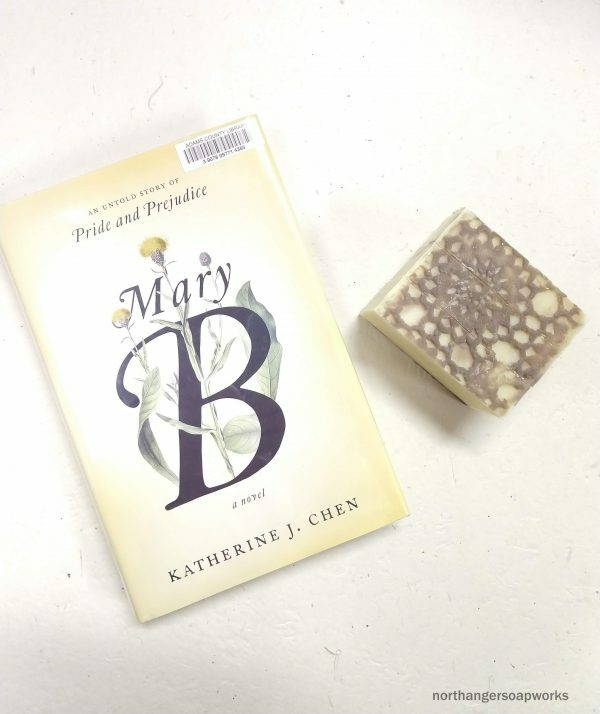 Want Mary Bennet soap? It comes with a little happy ending I wrote for her tucked inside. Add it to your cart. *Caveat: there is a lot of hate out there regarding this book. I stayed up late thinking about it after completing it, sorting through my feelings. However, I like books that make me feel and think, and it doesn’t lessen the delightful fun I had reading. I’ll tell you straight up, if it upsets you to see some of your beloved characters altered, you should skip this one. It is also very modern, so old fashioned gals should definitely read with an open mind. Previous post: Jane Austen Gift Guide: Christmas 2018. Eleven+ things you need!